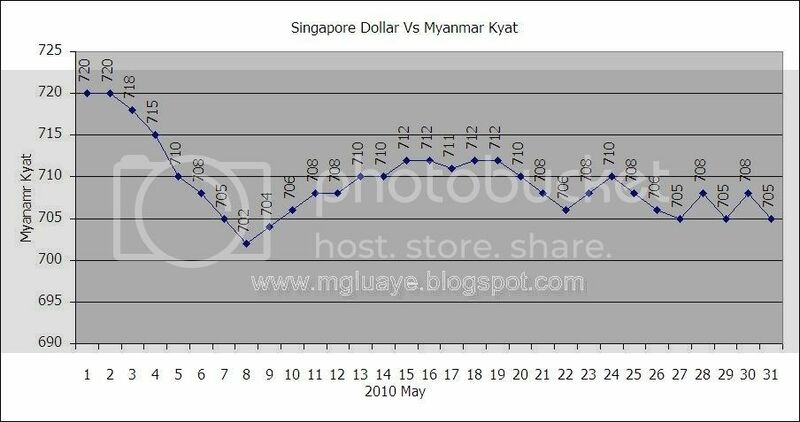 For the month of May 2010, the average exchange rate between SGD and Myanmar Kyat was 709.3548 Ks/SGD (7.1119 down from previous month average rate), highest was 720 Ks/SGD on 1st and 2nd of May and fell lowest until 702 Ks/ SGD on 8th, of May. 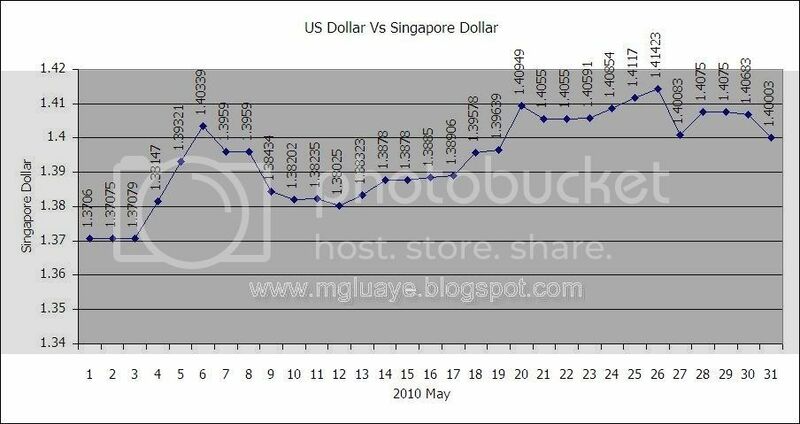 For USD vs SGD, the average rate for the month of May was 1.3824 SGD/USD (0.0119 up from previous month average rate), highest 1.4142 on 26th of May and lowest 1.3706 on 1st of May. would have done if I had not encountered such a thing like this. require a specialist on this area to solve my problem. May be that's you! Looking forward to see you.